With the holiday weekend coming, if you’re looking for a signature cocktail that looks like it jumped right off a spa cuisine menu for under 140 calories, this is it! 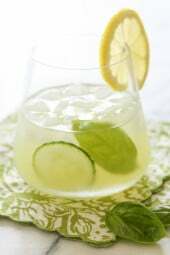 Made with muddled cucumbers, basil, lemon juice, gin and a splash of seltzer, it’s light and summery and perfect to serve at your next party. 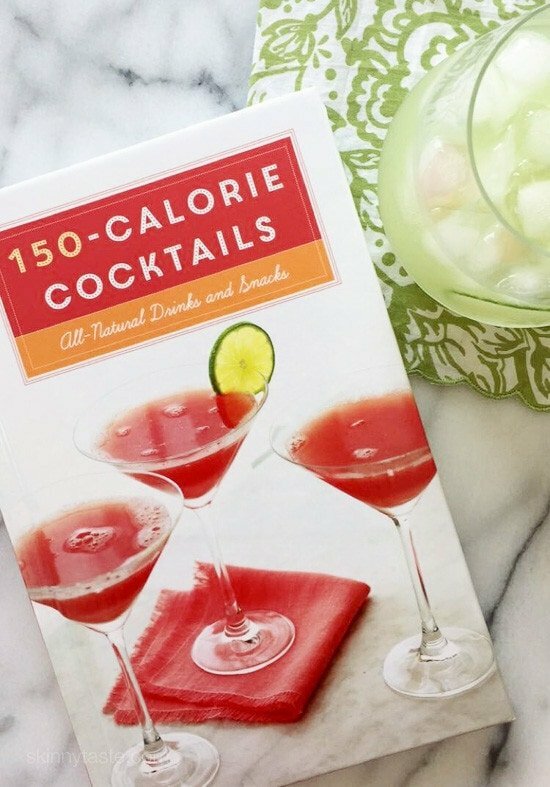 This cocktail recipe is from a great new book I just got, 150-Calorie Cocktails; All Natural Drinks and Snacks. Filled with lots of great cocktails I plan on trying this summer as well as tips on how to make a low calorie cocktail. 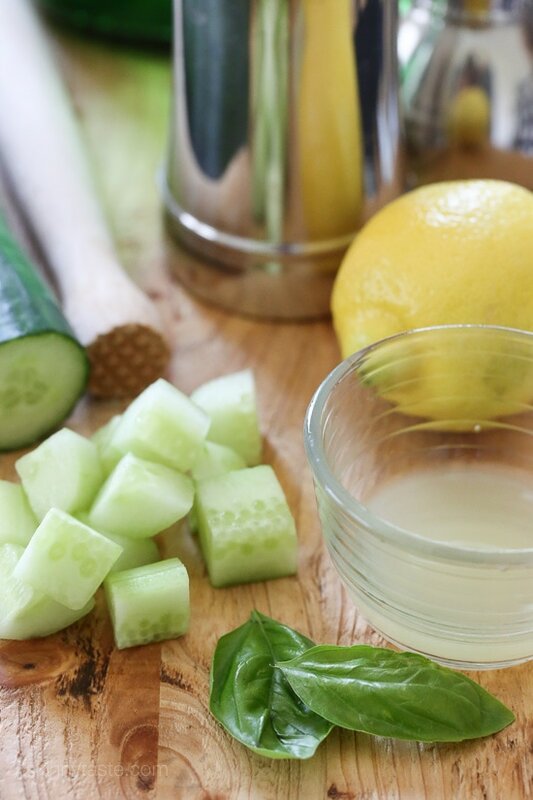 Some tips include choosing a lower-proof liquor, skipping store bought syrups and prepared mixes, choosing seltzer over tonic water (did you know tonic water was 90 calories per cup!) and something I often do, adding seltzer to wine to make a spritzer. Add the gin, lemon juice and ice cubes and stir 10 seconds. Strain the mixture into a rocks glass filled with ice cubes and top with seltzer. 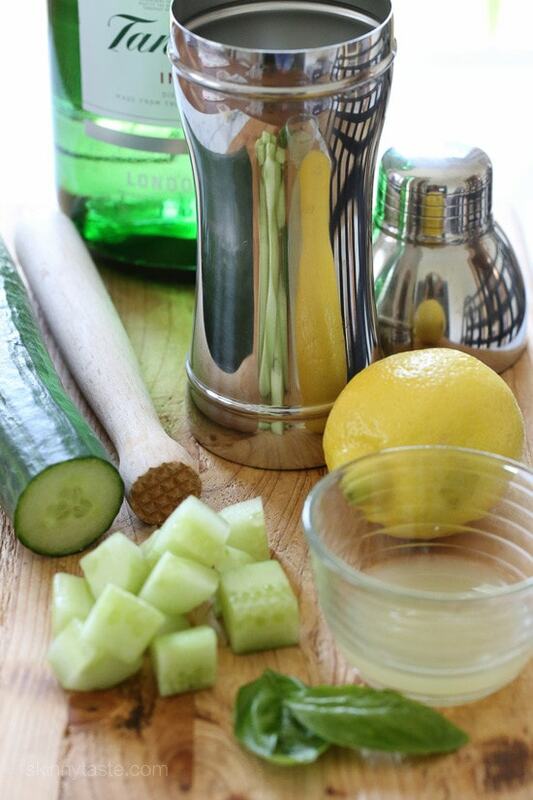 Garnish with lemon and cucumber and serve. Pin It To Save The Recipe!